TEGUCIGALPA, Honduras, September 27, 2018 – Grupo Terra is a diversified investment group with an emphasis on the energy sector. They have a great history in Honduras, recognized trajectory in Central America, and recently they have been expanding in Latin America. The dream that began as a family construction company has now evolved into a source of sustainable growth for many families in Guatemala, El Salvador, Belize, Honduras, Nicaragua, Costa Rica, Panama, Colombia and Peru. The company is a conglomerate of investment that utilizes four strategic areas: Energy production, supply and distribution of petroleum derivatives, airports infrastructures and real estate. 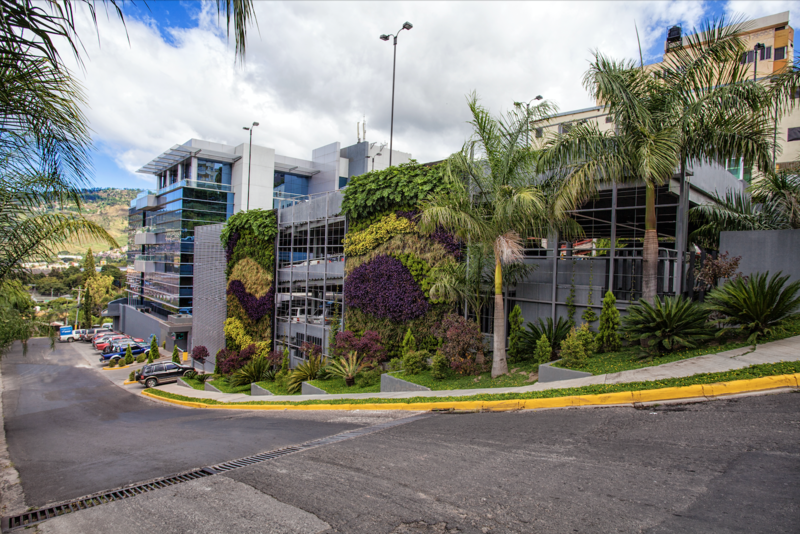 Innovation, responsibility and sustainability are the engines that guide Grupo Terra to create value throughout the diversified projects that make them leaders in Latin America. Collaborators are a fundamental part of Grupo Terra; guided by their values, which are trust, respect, passion, and creativity, they put an emphasis on results with the purpose of contributing to the development of the region. Throughout their different business models, more than 18 thousand direct and indirect jobs have been generated in the countries previously mentioned. This great team consists of passionate, creative and intrepid people, and each day they put their maximum efforts into completing each one of their functions. Grupo Terra's family values the work of each employee in all company positions because each of them makes possible the development and growth of the company. Gaining experience in the company is one of the common goals of all collaborators as they feel completely able to identify with the values and vision of the company. Through training, they try to offer the employees the best tools and knowledge that allow them to make their work in a more efficient way. Grupo Terra encourages respect and diversity. A total of 15 nationalities form the great team, opening their minds to cultural richness and maximizing their skills. Terra Energy has a presence in six countries, which are Guatemala, El Salvador, Honduras, Nicaragua, Panama and Peru. The commitment to sustainability continues to drive energy generations projects in a responsible way, promoting the conditions for growth in the communities and countries where Grupo Terra has a presence. More than 1.7 million homes in the region are illuminated by Terra energy, reaching the most important asset of the countries: working families. For them, this is an essential resource. Terra Petroleum, which has a presence in Central America and Colombia, has become one of the main marketers of petroleum derivatives in Latin America. A network of 1,509 service stations in the seven countries supports them. UNO, Shell and Biomax have become leaders of the market and are in constant growth to provide fuel, lubricants and tiers. Another branch that Terra Petroleum covers is the supply of fuel in 8 international airport and its 12 storage terminals. Terra Infrastructure is responsible for the administration and operation of four international airports in Honduras. Terra Real Estate has constructed more than 76,666 meters square, through twelve industrial projects, eight corporate projects, six residential projects and seven commercial projects, always under the premise of innovation and sustainability. Each implemented project by Grupo Terra is totally attached to the laws of each country, and base in ethical principles, assuming an active and responsible posture in each act they perform, keeping a balance between the economic and social growth of the communities and the environmental protection. Committed to the sustainability of the environment, they have planted more than a million trees and have contributed more than 22 thousand hours of volunteering work. In the last eight years, they have achieved the reduction of more than 3.8 million tons of CO2. Fundacion Grupo has made achievable more than 400 communities and has assisted with more than 100 thousand inhabitants in education, technology, environmental and infrastructure care, under a methodology of community participation and strategic alliances with local, national, private and public organizations. With over 40 years of business experience, Grupo Terra's philosophy has always been “Do all things right.” This is reflected in each of their goals and business attempts while continuing to create a better future for Honduras and Latin America.